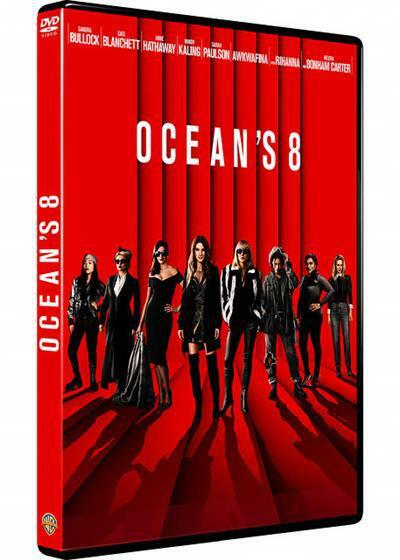 Titre(s) Ocean's 8 / Gary Ross, réal. ; Sandra Bullock, Cate Blanchett, Anne Hathaway, Helena Bonham Carter, Mindy Kaling, Awkwafina, Sarah Paulson, Rihanna, act. ; Olivia Milch, Gary Ross, scénario ; Daniel Pemberton, compos. ; George Clayton Johnson, Jack Golden Russell, auteur. Editeur(s) Warner Home Video, 2018. Notes Langue(s) parlée(s) : fre, eng. - Format(s) audio(s) : Dolby Digital 5.1. - Format(s) Vidéo(s) : 16/9, 2.39. - Prêt + consultation.